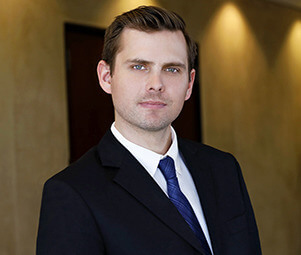 Hunter Hovland is a premier client advisor for the multifamily division at Matthews™. As a trusted advisor, Hunter focuses on the acquisition and disposition of multifamily assets in Long Beach, California, with an emphasis on North Alamitos Beach, Downtown Long Beach, Belmont Shores, and Lakewood. Hunter works with a wide client base, from private investors to institutional firms. He is constantly working to redefine expectations through unwavering loyalty and commitment to the interested of his clients, resulting in an unparalleled agency experience. Prior to joining Matthews™, Hunter spent five years as the Sales Manager at a student loan consolidation center where in refinance loans.